Over on hackaday.io there is a project blog for the “Distributed Ground Station Network”. This is essentially an idea to build a large network of distributed RF receivers which automatically receive signals from sources like cube satellites and other beacons. The project mainly uses RTL-SDR dongles at the moment for their RF receivers. In some ways it appears to be similar to the SatNOGs project which won the hackaday prize two years ago but the DGSN appears to be more focused on “reverse GPS” which allows the detection and tracking of the location of small satellite signals through distributed receivers. The Distributed Ground Station Network (DGSN) is a novel network concept of small ground-stations and connected via the internet for performing automatic scans for cubesats and other beacon signals. By correlating the received signal with the precise, GNSS synchronized reception times of at least 5 ground stations, it enables the positioning of the signal’s origin. Thus a global tracking of small satellites becomes possible in this “reverse GPS” mode. It allows mission operators to position and track their small satellites faster after piggy-back commissioning, when the final orbit is yet undefined and could differ from the specified orbit. Furthermore it allows permanent communication in “data-dump” mode. In this mode, DGSN ground-stations relay the received data to the servers and thus to the operator. Recently they have made several interesting update posts. In one post they show a video demonstrating automatic detection of a cubesat signal. In another post they show a timelapse video showing one day of radio contacts via the International Space Station. 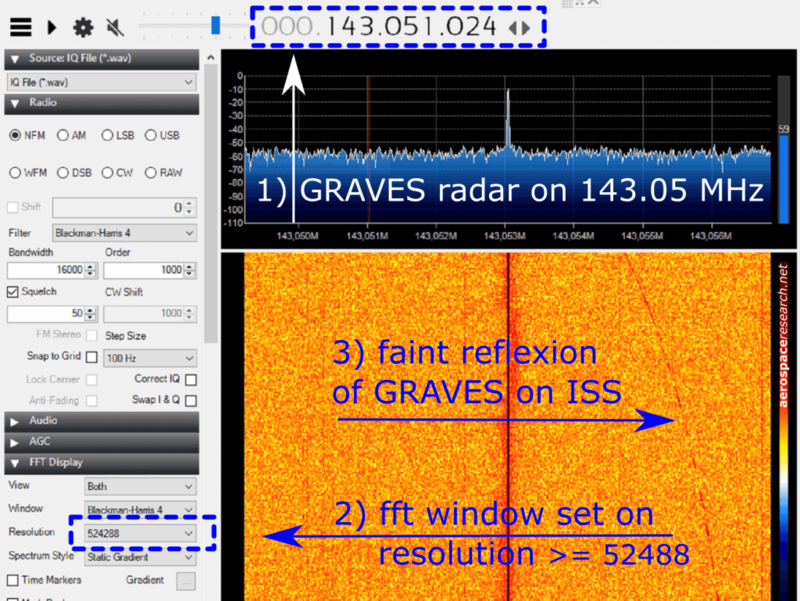 Finally in their latest post they show how to use the GRAVES radar in France to detect the ISS and meteorites showers.